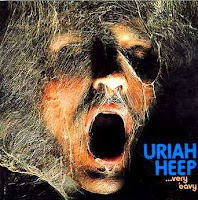 Many hold Uriah Heep responsible for the birth of English hard rock, together with Deep Purple and Led Zeppelin. The London band earns at least some credit because they published one of the most beautiful record-covers of all time: the cover of their debut LP Very 'eavy, Very 'umble (1970), which at first glance shows the mug of a corpse in a state of decomposition. Upon closer inspection however it concerns a somewhat flattering portrait of the former singer, David Byron. 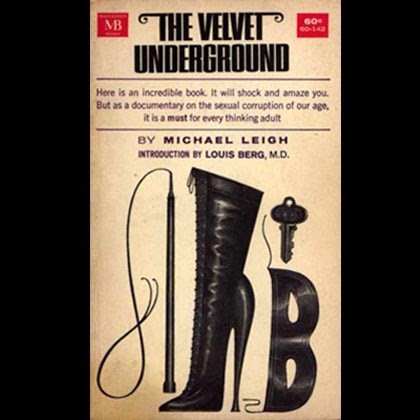 In America they would have none of it: an alternative cover was brought out there. Uriah Heep is, as virtually all observant English boys and girls know, an evil character from one of Charles Dickens’ novels, David Copperfield (1850). Heep is a fraudulent bookkeeper who ruins an aunt of the leading character, Betsey. Fortunately he does not escape his deserved punishment, because Uriah ends up in prison.